Since the 1970s the prevalence and duration of housing market booms has increased in developed countries as has the busts which followed them. These developments and particularly their occurrence in a large number of countries simultaneously were key contributors to the global financial crisis of 2008. The literature on this crisis has focused primarily on the role of mortgage markets and home-ownership in driving housing booms and busts and also on the countries which have experienced the strongest busts, particularly in the English-speaking world. 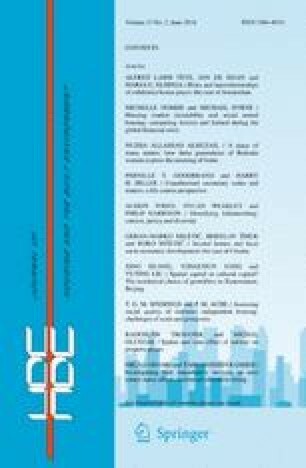 Despite the large number of social rented dwellings in Western Europe, the role of this sector has been largely neglected in the literature as has developments in countries unaffected by the crisis. This article aims to address these omissions by examining the interaction of social housing and the housing market in Ireland, which experienced a spectacular housing market boom in the 1990s, and bust in the 2000s and Austria which has a long tradition of housing market stability. It argues that social housing played an important but contrasting role shaping the housing market dynamics in these two countries. In Ireland social housing was pro-cyclical—it accelerated the housing market boom and intensified the bust; whereas Austrian social housing had a counter cyclical impact on the housing market and thereby helped to promote price stability. These outcomes were partially reflected in the different social housing policy regimes in use in these countries—Austria represents a ‘unitary’ and Ireland a ‘dualist’ housing regime in Kemeny’s (From public housing to the social market: rental policy strategies in comparative perspective, Routledge, London, 1995) typology. In addition, the sources of finance for social housing and the demand-side or supply-side orientation of subsidies were also important drivers of these contrasting outcomes. Amann, W., & Mundt, A. (2005). The Austrian system of social housing finance. Stockholm: International Union of Tenants. http://www.iut.nu/FindOutMore/Europe/Austria/Socialhousing_finance_Amman_Mundt.pdf. Accessed 15 Feb 2017. Ludl, H. (2007). Limited profit housing associations in Austria. Vienna: GBV. http://www.iut.nu/members/Europe/West/Austria_GBVinfo_ENG.pdf. Accessed 15 Feb 2017.